The Siza Charity Network, based in South Africa, describes itself as "an international platform as well as a global family. It is a non governmental organisation registered and established in South Africa." Some of that is true. It is registered in South Africa but was only first listed on 4th January 2019, just 17 days ago. Its domain was only registered on 27th December last year. The whole thing is less than a month old. They say that the scheme is "designed to create an evallenge of wealth and Financial Freedom for all". "Evallenge"? Do they mean avalanche? Or something else? They say that they plan to "build a solid financial base devoid of slavery, over bearing points and balancing that creates a stumbling block for active networkers to count their blessings." Again, that's hard to understand. Every word has a meaning but that particular sequence seems to mean very little. Their business model is very simple. 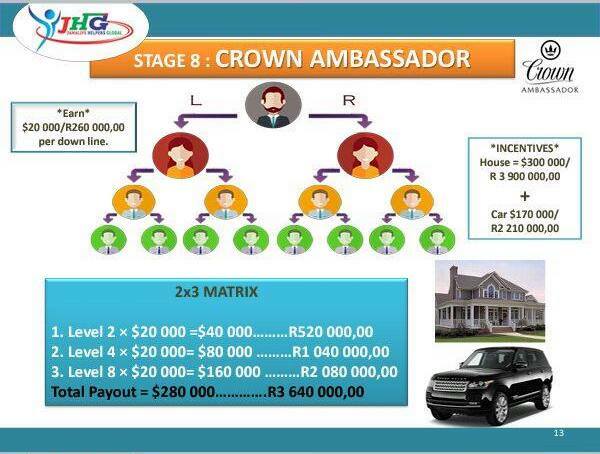 They offer multiple levels of recruitment, calling them Builder, Sapphire, Ruby, Emerald, Diamond, Crown diamond, Ambassador and Crown Ambassador. Wait a moment. Doesn't that sound familiar? Aren't those exactly the same names as those by the Jamalife pyramid scheme from 2018? Even the graphics are identical. 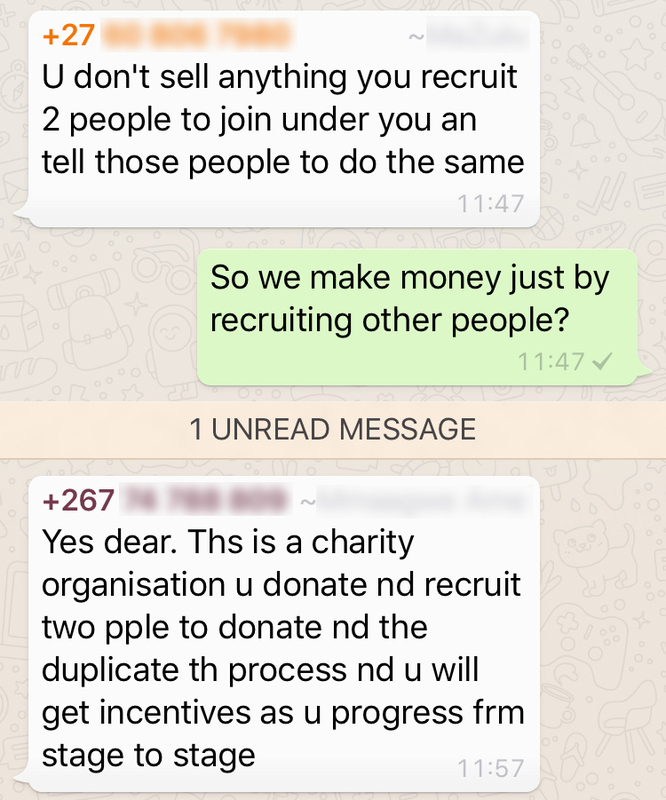 And of course, like most obvious pyramid schemes, they're very open about the fact that there are no products and it's all just about recruiting other people. 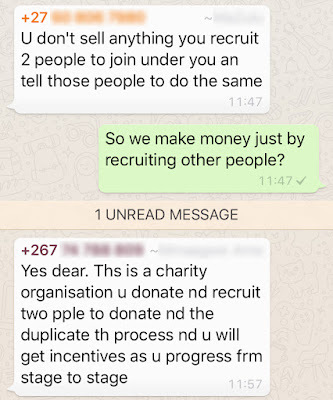 It's safe to assume that Siza Charity Network is a clone of Jamalife, yet another pyramid scheme. Please don't waste your time, effort and money, particularly as with the introduction of the 2018 Consumer Protection Act, promoting or even joining a pyramid scheme is illegal and you could face a fine of up to P100,000 or jail for up to 5 years. Or both.